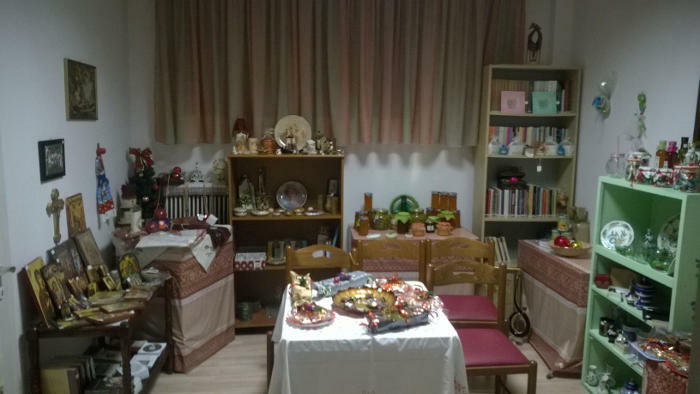 According to our yearly tradition in our offices there will be held a Bazaar. There will be local products, handmade mostly, icons, books, e.t.c. The profits of the bazaar are going to be spend in the needs of Orthodox Mission . We will be very pleased to see and meet you, informing you about our Organisation and our mission. The Orthodox Missionary Organization "Route of Agape" (Poreia Agapis) was established on September 2009 in the city of Larissa, Greece. Its goal is to support and strengthen the Orthodox Mission all over the world. After six years of continuous offer, our Organization has built a clinic in North Tanzania, a house (presbyterio) in Bukoba of North Tanzania. Also, "Route of Agape" has sent and keep sending numerous packages of clothes, toys, medicines, and educational stuff where there is need.